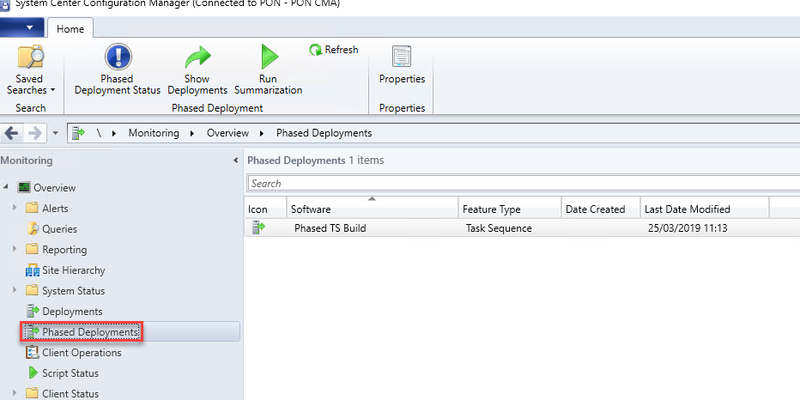 Also note that we have options shown in the ribbon and right click menu for drill down into those phased deployments. 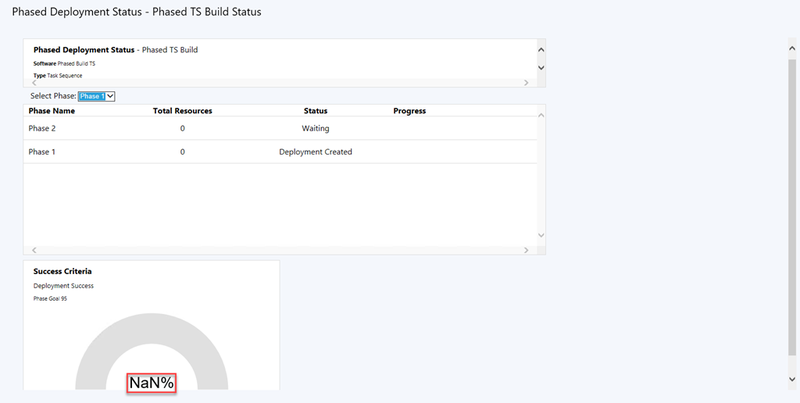 If we look further into the Phased Deployment Status then we get this nice view of the overall deployment status. It does render a little odd in places though, I’ve fed that one back into the product group. 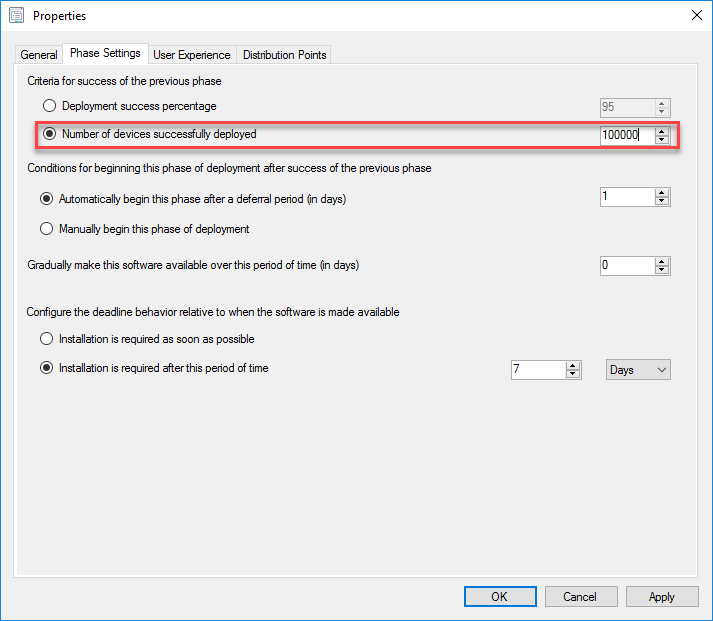 We now have an additional criteria option where instead of specifying a success percentage for moving onto the next phase of a deployment, we can now specify a number of machines. This is handy for many organisations where collection membership may not be static or you have a magic number to hit each month. Also, there is a maximum value in here of 100,000 which for most I think should be fine. If I were to take this one step further, I would like to see an OR option added in here e.g. 90% OR 1000 machines. This will do just fine for now though.